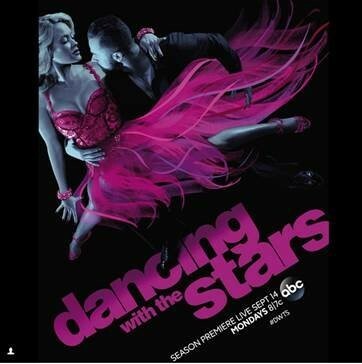 Dancing with the Stars returns this fall for its season premiere MONDAY SEPTEMBER 14 8|7c on ABC! Get ready for an all-new cast of stars ready to dance their way to the Mirrorball Trophy in the show's 21st season! Hosted by Emmy® Award-winning host Tom Bergeron (America’s Funniest Home Videos) and Erin Andrews (sports host & Dancing with the Stars Season 10 finalist), Dancing with the Stars is the hit series in which celebrities perform choreographed dance routines which are judged by renowned ballroom judge Len Goodman, two-time Mirrorball champ and actress Julianne Hough, and dancer/choreographers Bruno Tonioli and Carrie Ann Inaba. So even though you have to wait until September for new episodes, you can satisfy your DWTS fix with the Dancing with the Stars: Live! "Perfect Ten Tour." Stay tuned for the Season 21 cast announcement later this fall and gets ready for another exciting season!